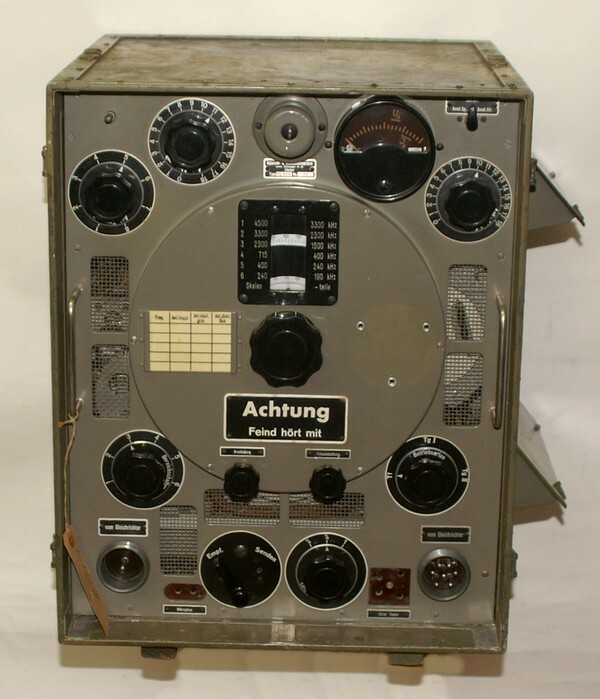 To replace the Tragbar Schwere Funkstation 18/25 as well as the Fahrbar Leichte Funkenstation 19/25, Zellweger AG, Uster, developed a modern shortwave station covering long- and shortwaves in the years 1938/40. As an alternative, the station could be used installed in a fortification or a command post, for this purpose or for use in the mountains or in pathless terrain, the station came in wooden transport crates with the designation Tragbar Schwere Funkstation TS40 (portable heavy station 40) with the same equipment as in the mobile station. In favour of the carrying platoon, the rotable DF antenna and the 10 m telescopic mast was left away. 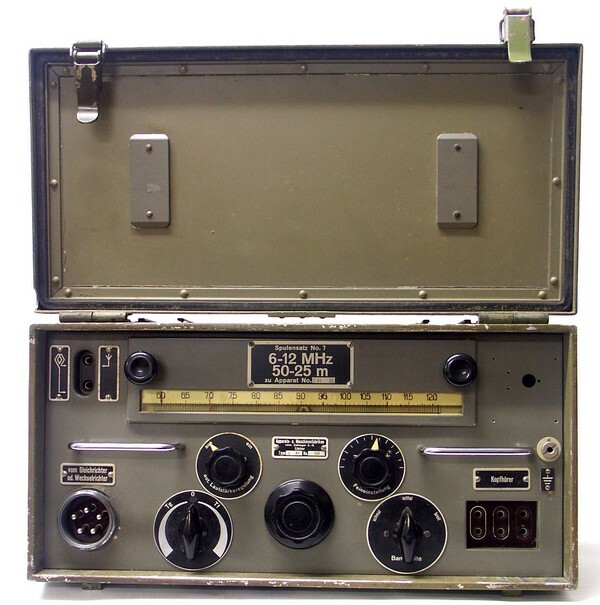 The "Tragbar Schwere Funkstation / TS 40" (portable heavy wireless station) consists of the same components (transmitter, receiver, generator, rectifier, inverter as the "Fahrbar Leicht" / FL 40. The complete material (500 kg) could be distributed on 23 loads which could be carried by a platoon of signallers on back frames or on six mules to be carried up the mountains. The transmitter covers the longwave ranges 190-242 / 242-400 / 400-715 kHz and the shortwave ranges 1500-2300 / 2300-3300 / 3300-4500 kHz, a crystal permits to calibrate the set for 4000 kHz. The TS40 uses a 10m mast (consisting of seven detachable segments) for shortwaves and a L-antenna erected between two	10 m poles for longwaves. A inverter generates the necessary 120 V anode / HT voltage for the receiver E41 in case the generator is switched off or for remote operation of the station, a 6 V accumulator will also be used for heaters operation directly. The 45 stations TS 40 have been in use from 1940 to 1967 with the mountain infantry, in mountain fortifications and signals intelligence units and has been faded out in 1971.